I found this at the Japanese market the other day. 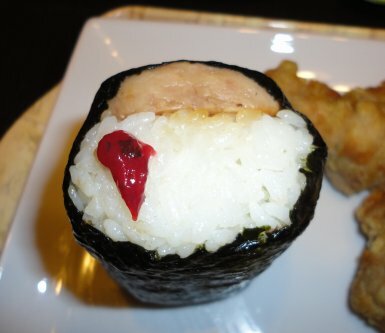 It’s umeboshi paste. What a great idea. I can put it on foods that do not lend themselves to the actual umeboshi (think eggs, hot dogs, hamburgers, sorry got a little carried away). I could seed the umeboshi to make a topping or filling but the paste seems so much easier. I tested the paste on a spam musubi from one of my favorite Japanese restaurants. Very good. 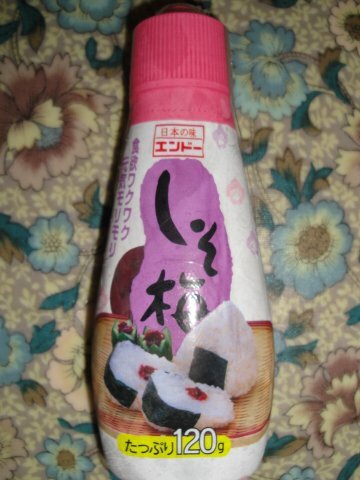 If you look closely, there are bits of umeboshi within the paste (it’s not just paste). A nice touch. From the previous post, I bought a dozen jiao zi (Chinese dumplings) from the Eagle Noodle Factory. Yesterday we ate them for dinner. 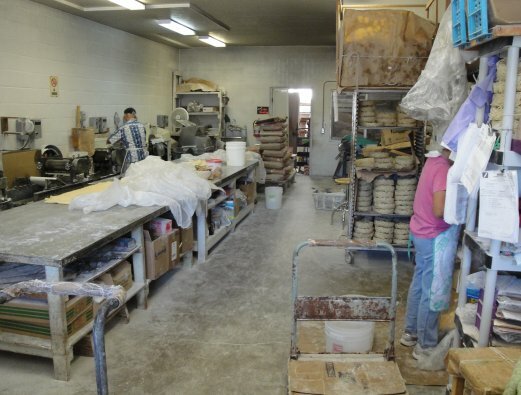 The sign at the factory claimed they were fresh and homemade. 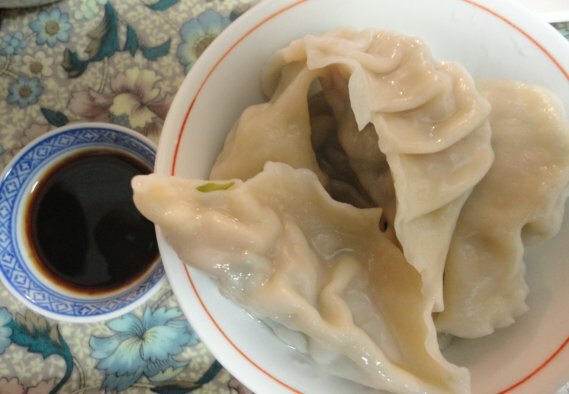 There are several ways to cook the dumplings, boil, steam or pan fry (potstickers). I decided to boil them (shui jiao or water dumplings). Dropped into boiling water, a careful simmer, and a quick dunk into cold water (to stop the cooking process and to prevent the jiao zi from sticking to each other, and ready to eat. The dipping dish on the side is Chinese black vinegar. The Cat likes her jiao zi with vinegar (for jiao zi, she prefers the Chinese black vinegar over white and red). 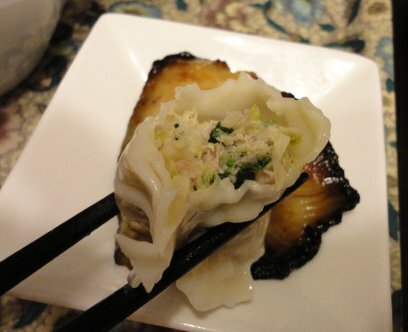 The jiao zi was definitely homemade. 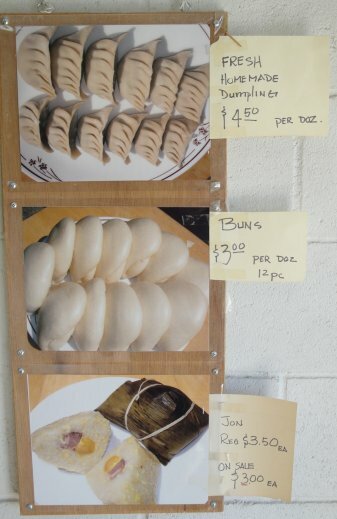 To me, sometimes the filling of commercial variety jiao zi is kind of pasty (over processed). The filling of these jiao zi had some body to it. 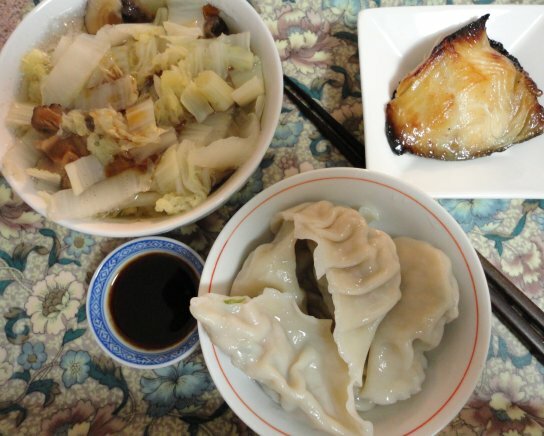 Usually, when we eat jiao zi, we have other small dishes (otherwise just eating jiao zi can get a little one dimensional). 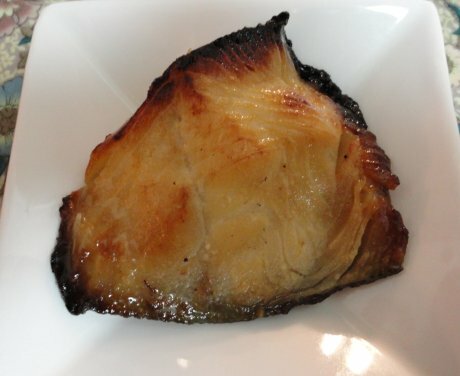 I bought up a small piece of miso butterfish and boiled Napa cabbage in shiitake dashi with a splash of toasted sesame oil on top to add decadence. The jiao zi was good enough for The Cat to approve future additional purchases. 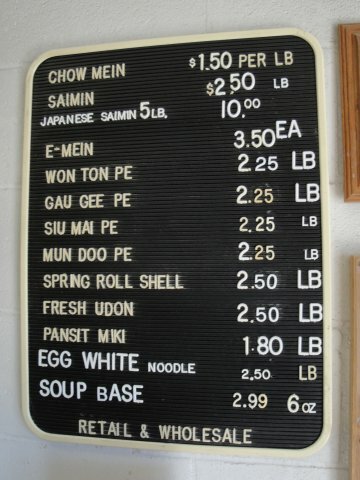 Growing up, e-mein noodles was a big deal. We usually ate them to celebrate birthdays. 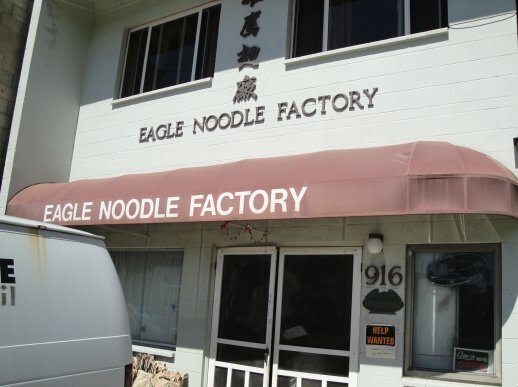 The brand I know is Eagle Noodle Factory. 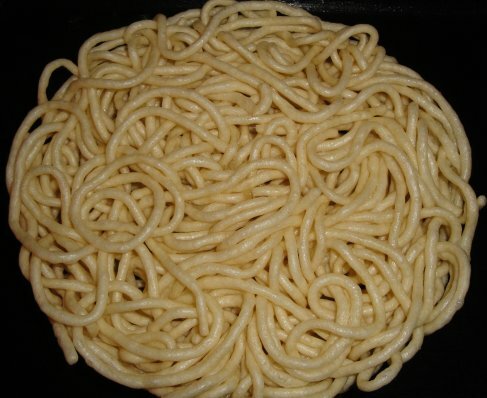 At one time, the noodles were sold all over the place. For a while now, it was difficult to locate the noodles in stores. There are other brands out there (not locally produced), but they’re just not the same. Yesterday during my wanderlost, I came upon the factory. I was not looking for the factory nor was I prepared to stop. I had to stop and visit. I circled around the block to park. Just to the left of the woman in pink are the stacks of e-mein noodles (sorry, a little redundant; mein = noodles so e-mein noodles is e-noodles noodles). 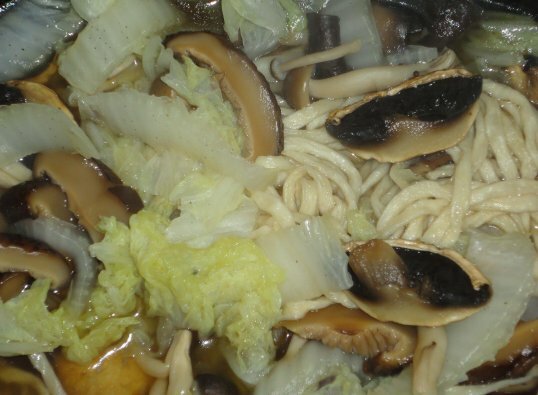 For dinner I used up the rest of the mushrooms (see cream of mushroom soup post), and added Napa cabbage to a shiitake dashi with the e-mein to make a noodle soup. The Cat was happily surprised. Slurp. Glad to find the source. Will let you know about the dumplings in a future post. I’m sending this post over to Deb at Kahakai Kitchen for her Souper Sunday feature. Some people might call it wanderlust, in my case think it was more wanderlost. I wanted to try a place in Kalihi for lunch today but they were closed for vacation. I ended up driving around for a bit and ended up here. 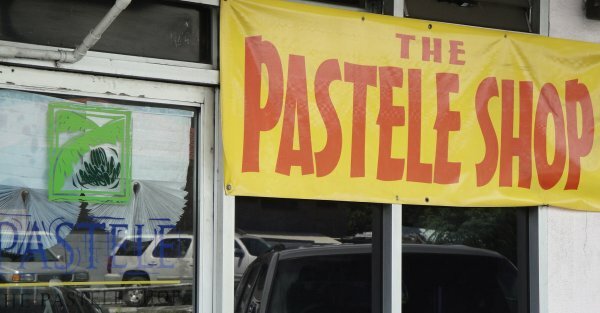 I’ve heard about pastele and this shop in particular for a while, just never had the chance. I wanted to get a sampling of the pastele experience. 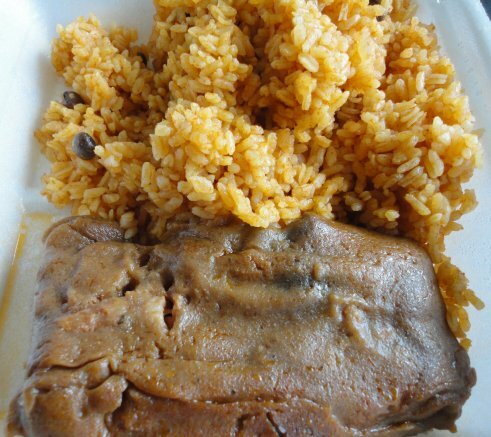 I ordered the #2 plate, one pastele, gandule rice, and bacalao salad. Confession time, this was my first time trying pastele (not to mention gandule rice and bacalao salad). I liked all of them. The pastele was something I’ve never experienced before. I think The Cat will like pastele (squishy, gooey, mushy). The gandule rice reminded me of the Spanish rice we used to get in the school cafeteria (a good thing). 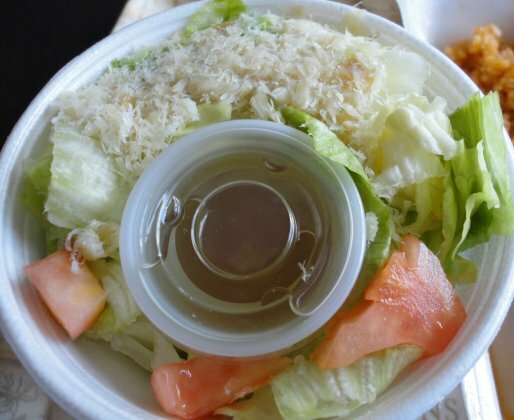 I had to look up what bacalao salad is (its salted cod). To me, anything with salted fish is a good thing. All in all a good meal. I experienced something new today. A definite try again. 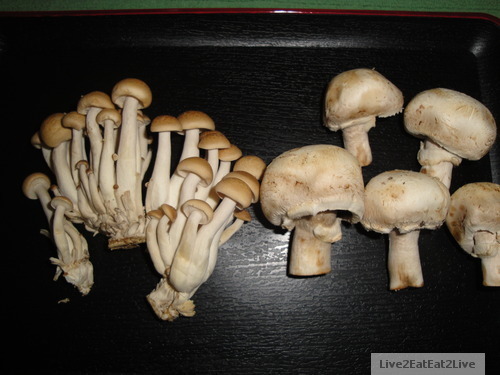 I found some nice mushrooms at reasonable prices at the market. 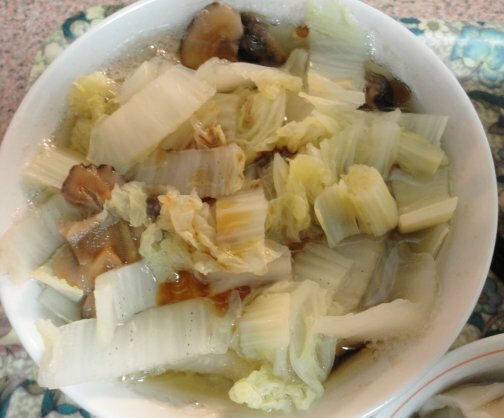 Added the mushrooms to a can of cream of mushroom soup along with two rehydrated shiitake mushrooms, a little sugar and a splash of Shao Xing wine. 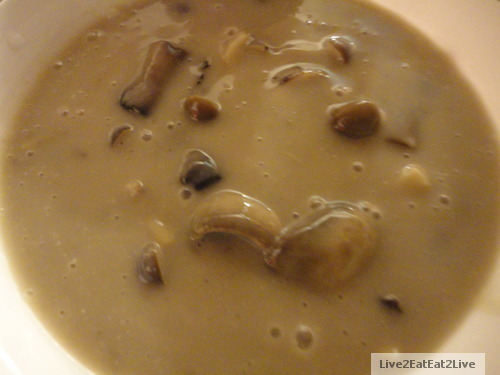 Instead of adding water, milk, or cream to dilute the soup, I added the shiitake dashi from the rehydrated mushrooms.